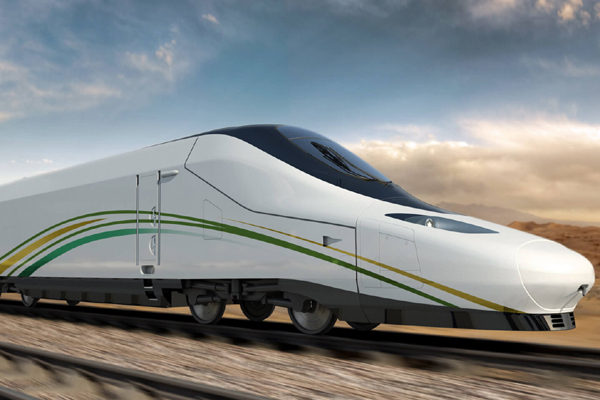 Royal HaskoningDHV, an international engineering and project management consultancy, said it has won a contract to carry out a detailed market study for the Haramain High Speed Railway project coming up in Saudi Arabia. The Haramain High Speed Railway is a new 449-km rail line which will provide a world-class passenger service from the Saudi cities of Makkah to Madinah, via Jeddah and King Abdullah Economic City. The contract was awarded by Al Shoula Consortium, which will operate the railway on behalf of the Saudi Railways Organization (SRO). The consortium is operating within a 12-year railway operations franchise contract for the Saudi Government’s SRO. Royal HaskoningDHV has a long track record in Saudi Arabia and has previously worked on projects in the kingdom including consulting engineering services for a new state-of-the-art logistics park in Jeddah. As per the deal, Royal HaskoningDHV will undertake an extensive survey programme along the full railway corridor and at key station locations along the route. These surveys will examine in detail current travel patterns, potential passenger profiles, economic characteristics and customer expectations towards the rail service, said a statement from the Dutch company. They are planned to be executed at strategically identified sites such as highway check points, bus and taxi interchanges in Makkah and Jeddah, key locations in King Abdulaziz International Airport terminals, and on board the new railway service, it stated. Following this, a comprehensive technical analysis will be carried out to examine future travel demand and estimate passenger demand forecasts for the new high speed railway, it added. Dr Marwan Al Azzawi, the director of transport and planning at Royal HaskoningDHV, said the company was signed up for the job due to its expertise in railways and transport planning. "We have been working in the Middle East for over 50 years and our local knowledge of Saudi Arabia, combined with the international expertise in railways and transport planning, makes us well placed to undertake this important market study," remarked Al Azzawi. Royal HaskoningDHV’s technical analysis will help the SRO to identify its most likely customer passenger levels and their needs. It will also help to develop targeted operations strategies to offer passengers the most suitable and efficient services.